Over the weekend after spending our Friday at Findlay Rowe and being surrounded by all of their holiday sparkle, we couldn't wait any longer. We broke our no Christmas decorations before Thanksgiving rule. Our homes aren't full blown Winter Wonderlands just yet, but by the end of this week they might be. 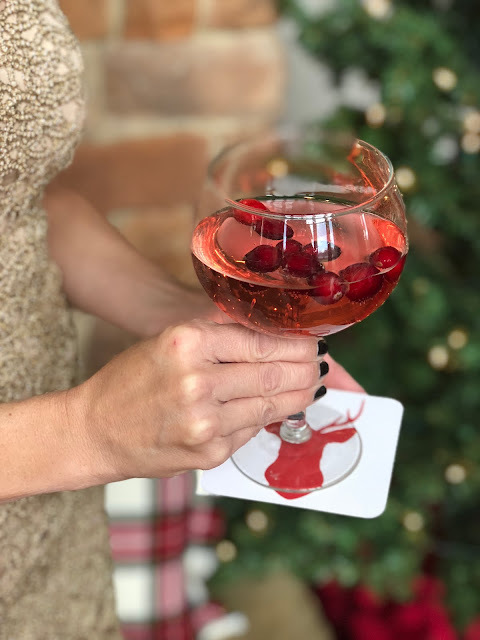 One of our favorite things about this time of year is all of the time spent with friends and family. I'm so excited to have family in town this year for Christmas. We usually travel, but this year we are staying put and some of my family is coming to us. I couldn't be more excited about it! 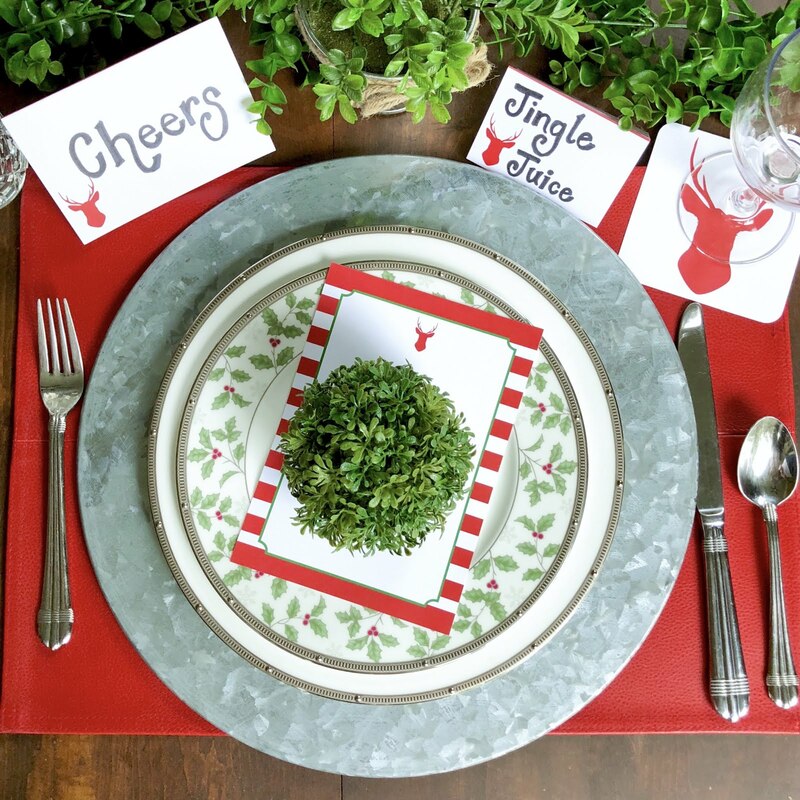 I'm SO looking forward to hosting and will certainly be putting my new Laurie Louis Designs holiday designs to good use. 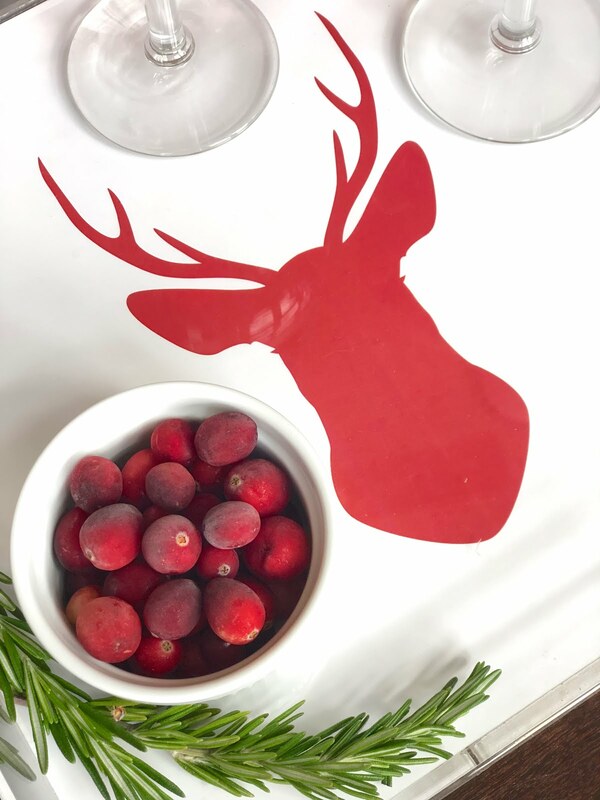 I just love the reindeer design and I'm an old fashioned girl when it comes to my holiday decor. 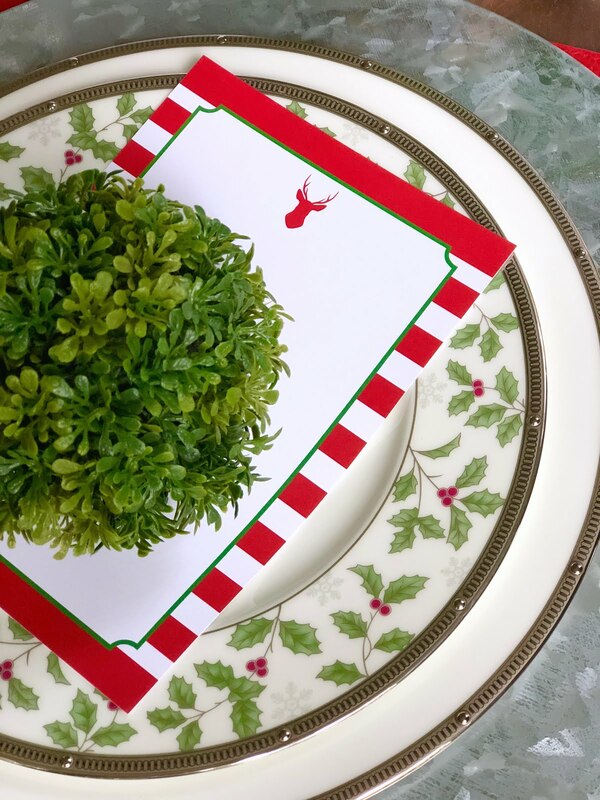 I like traditional red and green so these pieces go great with what I have all around my home. 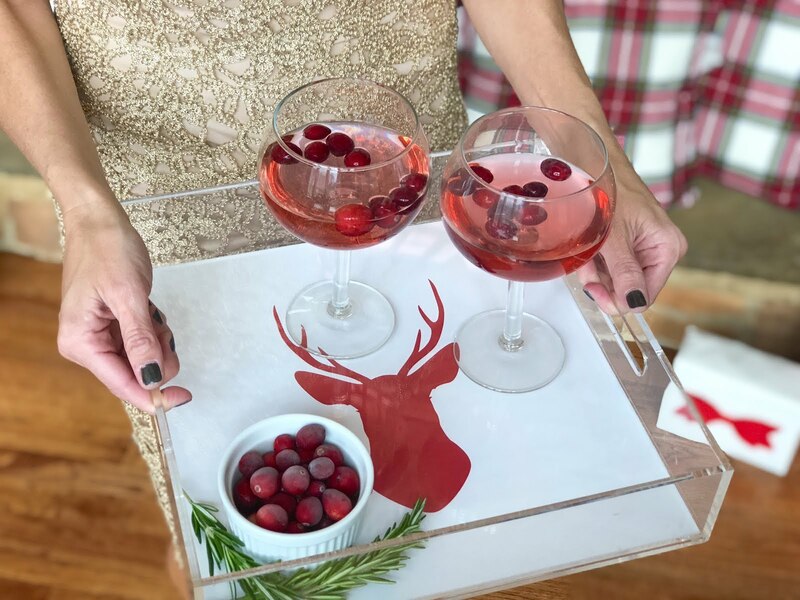 Whether you are having family over, host a big holiday party, or just a little get-together with friends, one of my go-to hosting tips is to have a signature cocktail on hand. Something easy to whip up and serve, but also something that sets the tone with it's colors and flavors. 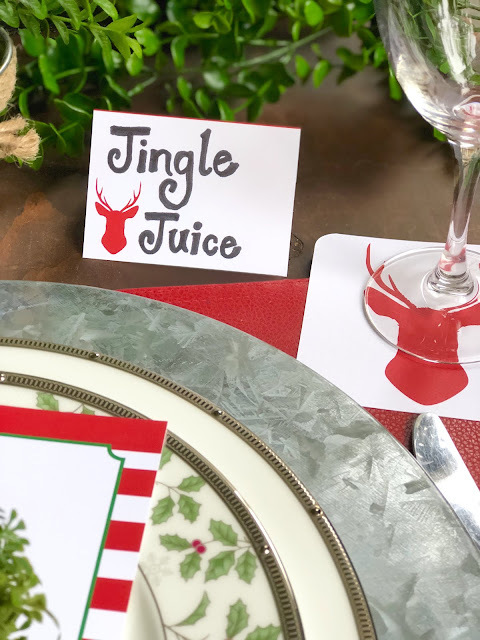 This Jingle Juice Punch is just that! So pretty and tasty and simple to make because it only has four ingredients! In a punch bowl or large pitcher fill with ice and combine all of the ingredients. Stir well and serve! We decided to make a kiddie version of this drink for the Mini Magnolias and they just loved doing a little taste testing. Their favorite combo was Sprite with a splash of Cranberry Juice served in a fancy glass and garnished with cranberries. They felt so big and loved feeling like they had a special drink just for them! 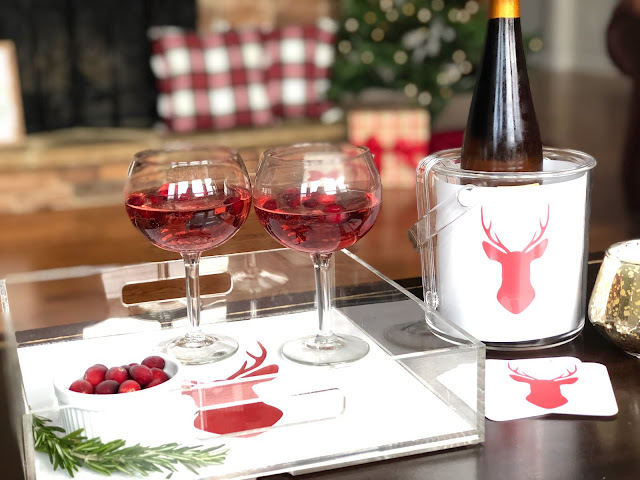 Be sure to check out all of the Laurie Louis Designs holiday options and use code MAGNOLIA2018 to receive 10% off your order! Thank you Laurie Louis Designs for sponsoring this post! All ideas and opinions are our own.